This exhibition has been planned to coincide with the major V&A quilt exhibition in London in 2010 – Quilts 1700 – 2010. 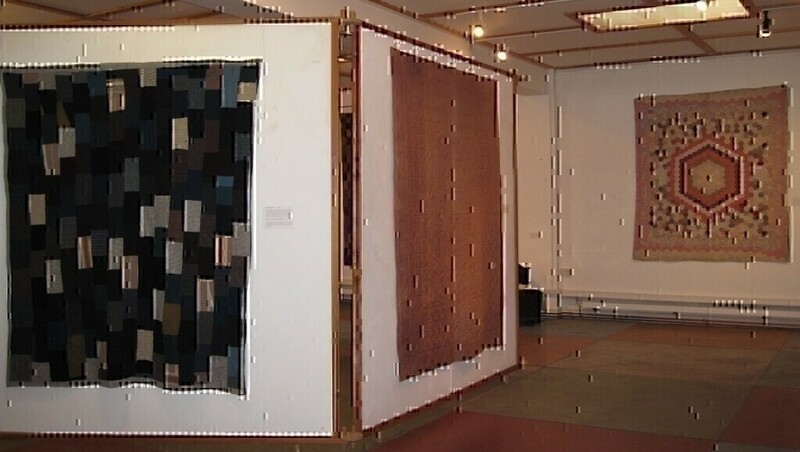 It will take place from 26 April – 29 May 2010 in Gallery 1 and will feature some of the best antique Welsh quilts from the Association’s collection. Contemporary works from Diana Brockway, Gwenfai Rees Griffiths and Becky Knight will also be on show. 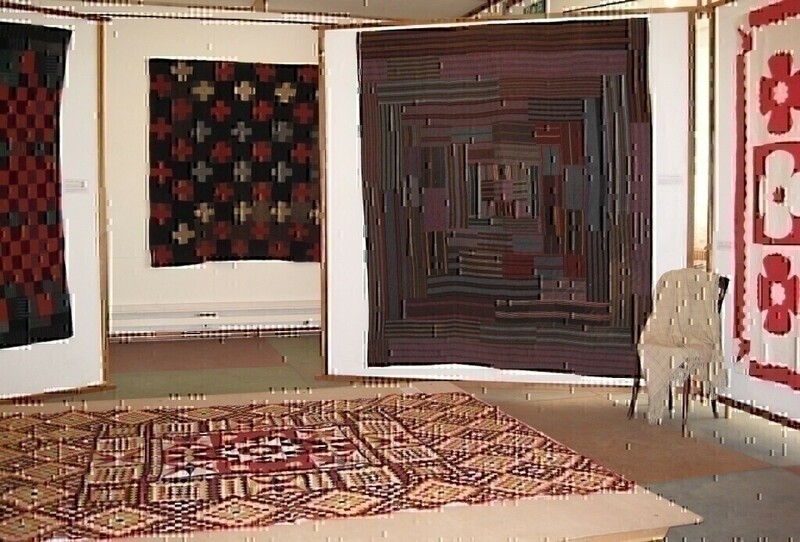 The exhibition will include antique quilts never before exhibited to the public, including a recent donation from Llanarth in south-west Wales. This unfinished hexagons piece has been hand sewn with fabrics from 1810 – 1830 which remain in excellent condition as the work was never completed. Another recent acquisition is a beautiful white wholecloth quilt made by Sarah Jane James from St Dogmaels in 1913. 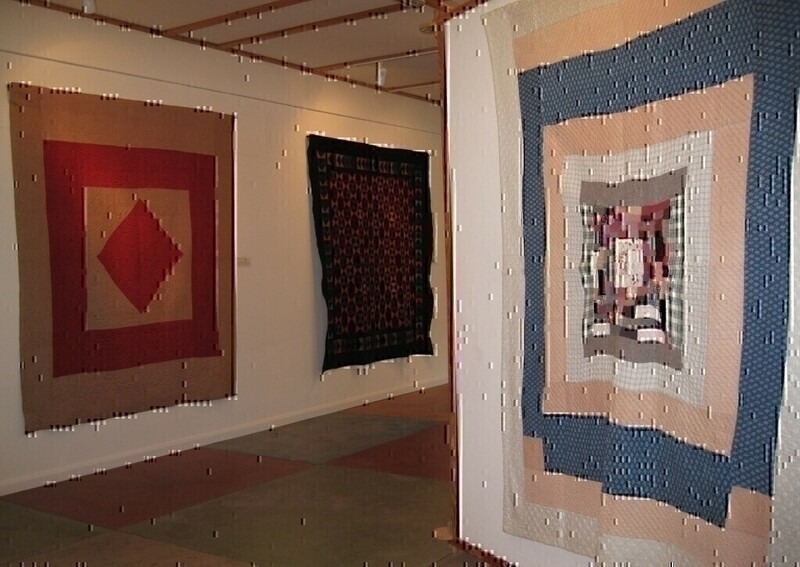 In each case there is interesting background information about the makers and their families which will be displayed alongside the quilts. Also on view will be a stunning military quilt, probably made by a convalescent soldier in the Talgarth area. It is hand pieced in Army uniform fabrics of heavily fulled plain weave wool, in yellow, red, white and black. The pieces are tiny and overall it is reminiscent of mosaic work. 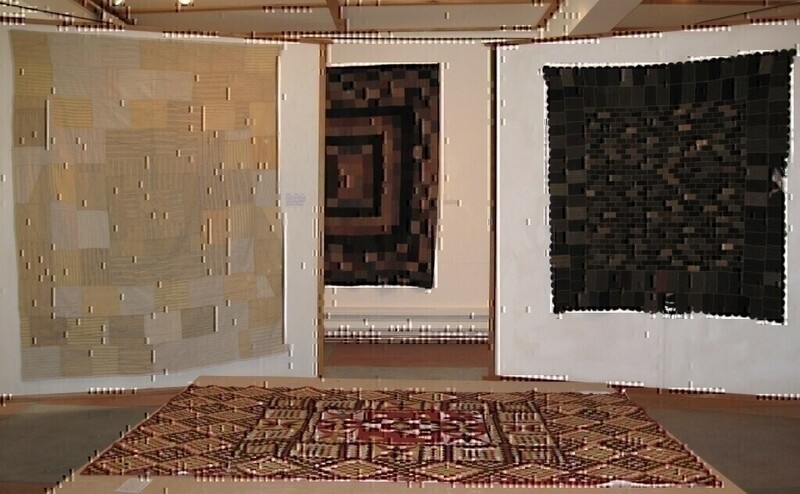 Many of the quilts in the Association’s collection were made in Llanidloes and the surrounding area. Of these there is a bold bowtie quilt of woollen flannels in striking colours, and a red and white appliqué flower quilt – both superb examples of traditional Welsh quilts which will be on display during the exhibition.